Instagram login issues might be annoying when you need it in rush. Especially if you are running a business account or in charge of a companies social media accounts. There are several reasons to cause the issues and we’re gonna explain all of them one by one. Yet no worries, unless you account have been hacked all of them are really easy to solve. So what are those Instagram login issues might be? Most of the issues are password related yet there are other issues as well. Sometimes it is just Instagram servers when they down. Password related login issues are easy to solve if you remember your e-mail for the login process. 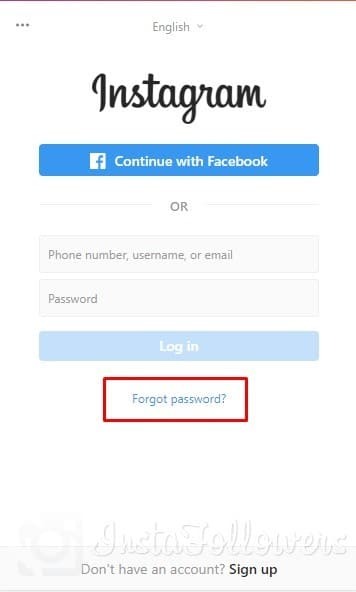 The first step is going to the login screen and click the “Forgot Password” button. Then enter your email address for a password reset link. You’ll get a login link to your email soon. And there is also worth to mention if you forget your email address or you can’t access it there is no way to retrieve your account anymore. In that case, Instagram mentions one way and that way is Facebook integration. If you linked the account on a facebook page then there is no password required. If you disabled the account the reason why you get the error is obvious. You’ll need to follow the Instagram community guidelines to maintain an accounts existence. If the account in question doesn’t fir the guidelines it will be disabled soon-enough. In that case, you have only one option. Try to log in the account and follow the instructions. Instagram is perfect. Really. But as all of the web services, it relies on servers which can be down sometimes. This is the rarest case but it might happen. The only thing you can do is wait. That’s literally all. Sometimes Instagram may give you errors like “sorry there was a problem with your request” most likely caused by a server issue. But you always consider the application factor about this error. After doing that you’ll need to re-login your account. Those are common login issues on Instagram. I hope that content solves your problem and be free to comment on your issue to log in on Instagram. We recommend that you read our previous article titled How To Add Instagram Story Link 2019.